© Lake Early RV Park. All Rights Reserved. 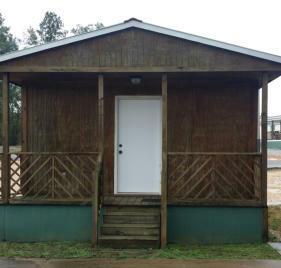 Website design and hosting by North Mobile Internet Services, Inc.
Our lovely RV Park is open year round with full hookups, large sites and plenty of shade. Rest, relax and enjoy a day out fishing. Our friendly Alabama RV Park is close to Calvert, Mt. Vernon and just 10 minutes from the Steel Mills. Lake Early RV Park is the perfect RV Park location for Steel and Construction workers to rest, relax and enjoy a day out fishing. 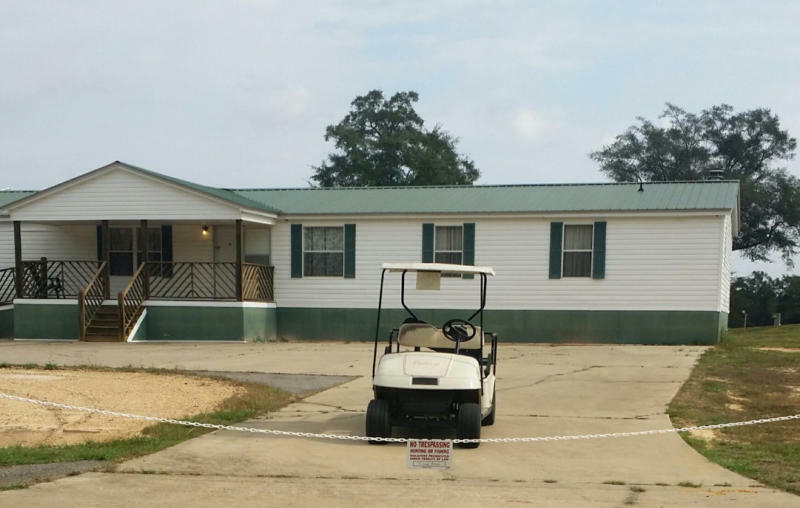 Our RV Park is open year round with full hookups, large sites and plenty of shade. 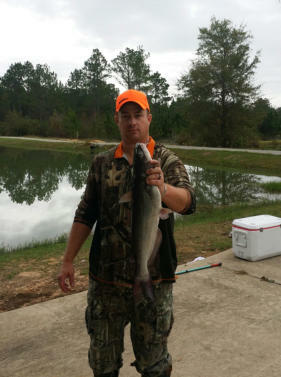 Bring your fishing pole and try your luck - our on site lake is stocked with largemouth Tiger Bass. No fishing license is required. River access is just a few miles down the road if you want to take your boat out. Enjoy a day out horseback riding, rock climbing, rappelling, scuba diving, or off-roading. 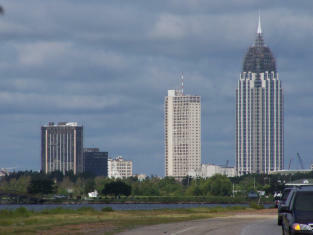 These and many other outdoor adventures are within a short drive of our Alabama RV Park. Laundry room and showers are here. 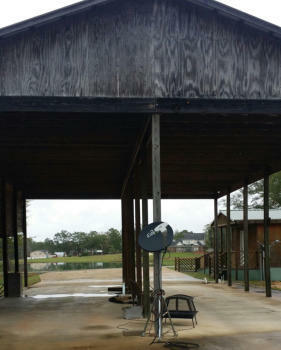 Lake Early RV Park has 2 covered RV carports. 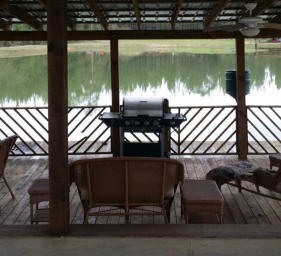 Lake Early RV Park has a pavilion with a grill for all campers to use. 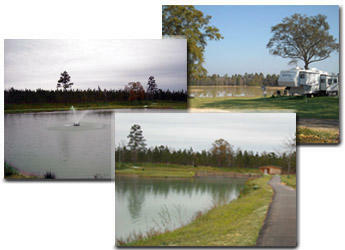 Lake Early RV Park also has a trailer that we rent by the week. This is perfect for contractors working short-term at the local plants in Calvert, McIntosh or Jackson, Alabama such as AM/NS Calvert, Ciba, Olin, Alabama Power, Boise and other steel mills. Here is a picture of the double-wide trailer that is rented by the week. Call us to reserve it at 251-225- 5574. 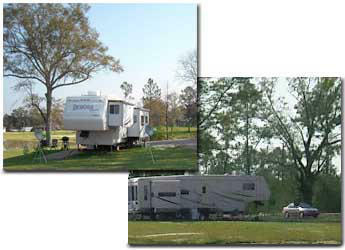 Lake Early RV Park also has a trailer that we rent by the week. This is perfect for contractors working short-term at the local plants in Calvert, McIntosh or Jackson, Alabama such as AM/NS Calvert, Ciba, Olin, Alabama Power, Boise and other steel mills. Here is a picture of the double-wide trailer that is rented by the week. Call us to reserve it at 251-225-5574.